K is for Komics 2.0 – Now with a store and header sass! So you might have noticed a fresh coat of paint on the place– it was just one of those moments where you look at your blog and go “no, tear it all down.” The new style of K is for Komics is designed to represent my identity as a writer using text as a visual component. An example of some of the “header sass” you might randomly encounter on the site. There’s a new feature for you to play around with, I’m calling it “header sass.” Depending on your web browser, each time you visit a new page, a randomly selected sassy subtitle will appear under the K is for Komics header. There’s 20 in all, so come back often and see if you can catch them all. But the best feature of all is the fact that the K is for Komics online store is finally open. So now you can buy my comic books and even buttons from the comfort of your own home. You might notice there’s even a new product up in the store– Saturday Morning Snack Attack! vol. 2 is now for sale. I’ll be spilling the beans all about this new anthology tomorrow, so come back and find out! Categories Announcements, comics, Saturday Morning Snack Attack! Find me at Detroit Fanfare this weekend! Don’t miss Detroit Fanfare, one of the best comic shows in town! This weekend is the big-one for K-Mo. It’s Detroit Fanfare season! This is one of my favorite shows to go to because the second year of the show was the first convention I ever had a table at. If you like comic conventions with a dedicated focus on comics and comic creators, then you don’t want to miss this one! And for only $20 for the weekend, it’s practically a steal. 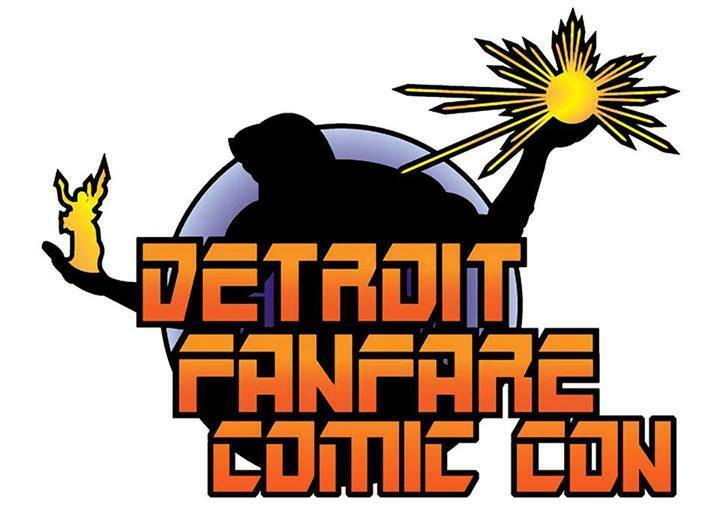 I am proud to say that I attended the first-ever Detroit Fanfare convention, but as a con-goer, not a creator. There I got to meet Stan Lee for the first time and I got to sit in on a live discussion of Write or Wrong by the incomparable Dirk Manning. That was a game-changing convention in the course of my career and the very next year I was set up at Detroit Fanfare with my trusty artist partner, Jesse Hughes selling our very first issue of Science Girl. This is my third year at Fanfare and though I won’t be premiering any new books this year, I will have plenty of copies of Science Girl and Saturday Morning Snack Attack! on sale. Come by, say hi and participate in the coolest convention in town. 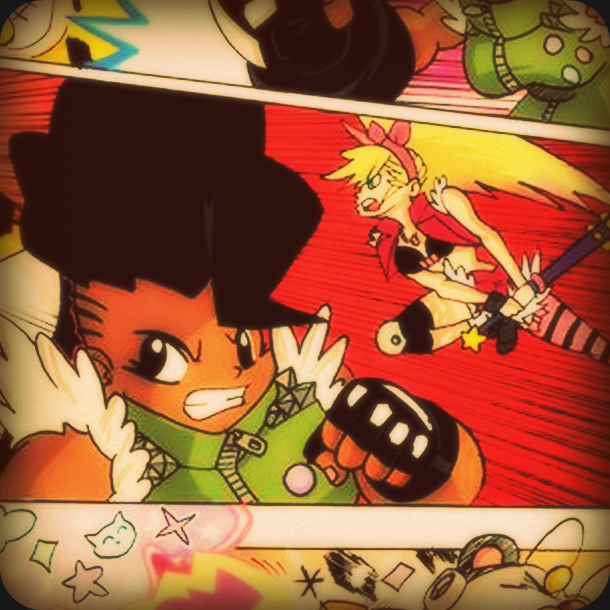 Everybody’s youth oriented comic extravaganza, is returning to the Ann Arbor District Library this coming June 22-23! Whether you’re a parent, a teacher, a librarian or just a comic fan, this is a great free event with lots of amazing creators and plenty of hands-on interaction. Oh, and did I mention that I’ll be there, along with Mr. Plummy Press himself, Jesse Hughes? Well it’s official, so you don’t want to miss out! And while you’re at it, you might as well pick up a few copies of Science Girl: Double Feature too! Motor City Comic Con 2013 – I’m Going, Are You? Just wanted to let you folks know that my beard and I will be attending this year’s Motor City Comic Con in Novi, MI. I’ll have plenty of comics for you to check out, including Saturday Morning Snack Attack! and Science Girl: Double Feature. If that’s not enough to convince you to come out, then consider this– Mr. Marvel himself, Stan Lee will be the guest of honor on Saturday. I can’t tell you how happy it makes me to know that there is a page out there on the Internet the lists both me and Stan Lee on it. This Saturday– the first Saturday in May– is Free Comic Book Day! To celebrate, Team Science is going to be at Green Brain Comics in Dearborn, handing out free Science Girl coloring pages. Come by, say hi and color Edie’s hair green! Green Brain Comics is located at 13210 Michigan Avenue, Dearborn, MI 48126. We’ll be there from 10:00 – 8:00, so stop by whenever, get your free stuff, talk to some comic folks and partake in some musical entertainment. When it comes to creating comics, sometimes it feels like the writer gets the short end of the stick. We can keep writing scripts and working in the background, but our efforts often go unnoticed because writing isn’t as visual as art. While comic artists can sell sketches and commissions at comic conventions, writers can’t exactly offer to writescripts for their fans. The same goes with promoting their work. While artists can have blogs and Tumblrs and Facebook albums full of sketches and thumbnails, us writers don’t exactly go posting every creative thought that comes into our head. Oh wait. We do– it’s called blogging. So, in an effort to make sure my plate is always full and to keep people from thinking I’m dead when I don’t have a new book to publish, I’ve decided to keep up a blog on this site.